Science is a systematic process used to study the natural world and develop testable laws and theories about the universe. Science is performed through observation of natural phenomena and experimentation which attempts to replicate natural processes under controlled conditions (See: Empiricism). Scientific investigation is divided into specialized disciplines (or branches) which study different aspects of the natural world such as Biology, Chemistry, Geology, Astronomy, etc. In a broader sense, science is defined as the observation and investigation of phenomena and is not restricted to the natural world. Therefore, science can include areas of study such as economics, history, anthropology, sociology, and other social and behavioral sciences. Science, as it is understood today, however, was birthed during the Scientific Revolution of the 16th and 17th Centuries. It was during this time that many fundamental contributions to mankind’s understanding of the natural world were made. Examples include the first Heliocentric model proposed by Nicolaus Copernicus in 1543, Johannes Kepler‘s discovery of the laws of planetary motion, and the publishing of Isaac Newton’s Mathematical Principles of Natural Philosophy in 1687, considered to be one of the most important books in the history of science. Of significance in the history of science is the fact that some of the greatest contributions to the natural sciences are the works of creationists, including Copernicus, Kepler, and Newton. In the life sciences, Louis Pasteur disproved spontaneous generation, Gregor Mendel discovered genetics, and Carolus Linnaeus developed the modern classification system. All three men were creationists. Observe a certain aspect of the natural world. Develop an hypothesis which explains the initial observation. Make predictions based on the hypothesis. Test those predictions with experimentation or further observation and modify the hypothesis based on the results. Using this methodology, the hypothesis may become a theory when substantiated by experimentation and supporting data. This theory is then a framework to which future observations, hypotheses, experiments, and predictions can be compared. Once an hypothesis is elevated to the status of theory it is not easily discarded; only when new data cannot be explained within the framework of an existing theory do scientists consider modifying or abandoning that theory. An important factor is that the scientific method cannot be used to prove anything, only disprove or falsify. In addition, many things are already outside the capacity of the scientific method to address at all. Interestingly, if the scientific method is so exceptional at disproving, the public should "expect" a high level of quality arriving from the scientific community. Instead, fraud is at record levels, especially in biomedicine. The philosophy of science is concerned with illuminating the nature of scientific research. Philosophers of Science achieve this end by analyzing the assumptions, foundations, and implications of science. Historically speaking, this branch of philosophy studies scientific inquiry from ontological and epistemological points of view. The ontological aspect attempts to define which entities can be explained by scientific theories and what ones lie outside the bounds of scientific research. The epistemological aspect evaluates the concepts and methods used to developed theories about natural phenomena such as observational procedures, patterns of argument, methods of representation and calculation, and metaphysical presuppositions. Science: Understanding what science is generally, the different types of science, and how we arrive at "scientific truth;"
Falsifiability: A criterion for determining what is "science" and what is not. Metaphysical paradigms: Various views on the nature of the universe, and the effect those philosophical views have on philosophy of science. Though scientists generally utilize the same scientific method when conducting research, scientists are divided into specialized disciplines which focus on particular aspects of the natural world or particular phenomena. These disciplines can be roughly divided into the Physical, Biological, and Social Sciences. Researchers in the Physical Sciences, for example, may study the laws of physics or geological formations, while biologists may study the structure of the cell, or the classification of living things. Researchers called social scientists focus on certain aspects of human behavior and interaction such as economics or history, for example. The physical sciences are those branches of natural science that study non-living systems. Scientific disciplines considered physical sciences include Physics, Chemistry, Astronomy, and Geology. Astronomy is the scientific study of matter in outer space with the goal of determining or measuring properties of distant objects, such as distances, positions, dimensions, distribution, magnitudes, motion, composition, physical condition, energy, evolution, and the causes of their various phenomena. Chemistry is the branch of science concerned with the composition, properties, and structure of matter, and how different substances react together. It is the study of the changes that matter undergoes to either gain knowledge, as in 'pure chemistry', or to apply it to a specific goal, as in 'applied chemistry'. Geology is the study of the origin, history, and structure of the earth. This is usually taken to mean the formation of the fossil record or geologic column and other major features like mountains, rivers, lakes and the erosion that bodies of water cause as well as similar natural features of earth. Physics is the study of "energy, force, and spacetime and all which derives from these, such as matter. It is the natural science which examines basic concepts such as force, energy, mass, and charge." Physics is foundational to all other natural sciences because the other sciences study systems which obey the laws of physics. Life Science (or Biology) is broadly defined as the study of living organisms and their environments. Creation life science operates under the doctrine or belief that various kinds of living beings were created and so are not the product of a naturalistic process. It is, therefore, philosophically opposed to evolutionism. Within the life sciences there are four main areas of study, each with multiple subdivisions. Most life scientists specialize in one area of biology, such as zoology (the study of animals) or microbiology (the study of microscopic organisms). 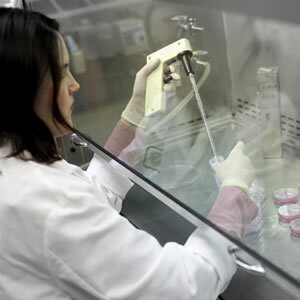 Cell biology—Studies the cell and its molecular processes. The tenets of Cell Theory are that cells arise from preexisting cells, the cell is the basic unit of life, all organisms are composed of one or more cells, cells contain the entire genetic code of the organism. Botany—Studies the development and life processes, physiology, heredity, environment, distribution, anatomy, morphology (structure and form), and economic value of plants for application in such fields as agronomy, forestry, horticulture, and pharmacology. Genetics—Studies the inheritance and variation of characteristics in forms of life. Perform experiments to determine environmental factors in origin, transmission, and development of inherited traits. Zoology—Study origin, interrelationships, life histories, habits, life processes, diseases, relation to environment, growth, genetics, and distribution of animals. The Social Sciences study the collective and individual behavior of people in society and related activities. Disciplines include economics, geography, history, political science, psychology, social studies, and sociology. A broad definition of science includes these fields because they are conducted through rigorous methods similar to those of the natural sciences. Social scientists often utilize the same empirical means as natural scientists to develop theories about relationships in and to society. For example, Archaeologists conduct research by recovering and studying material evidence, such as graves, buildings, and tools, remaining from past human lives and cultures. Similarly, Economists utilize the empirical approach common to the natural sciences to develop theories about the production, distribution, and consumption of goods and services. Other social sciences, such as history, uniquely focus on the collection, organization, and analysis of reliable sources of information about past events in order to draw conclusions. This information is used to solve historical problems and provide specific knowledge about past events and people. All the branches of science are interconnected to some degree. This is because many of the same phenomena observed in scientific research are investigated by different branches of science. For example, light, studied in Physics, is the energy source for photosynthesis, a process studied in Biology. Often times the interdisciplinary nature of science can lead to new scientific fields. Biochemistry, for example, is the study of the chemical processes of life. Similar examples include Astrophysics, a combination of Astronomy and Physics; and Paleontology, a combination of Biology and Geology. The Normative Sciences provide the foundation to all learning. Physical Sciences, the Biological Sciences, the Historical Sciences, and the Social Sciences all depend upon the Normative Sciences (Logic and Mathematics). Without Logic and Mathematics all efforts into gaining knowledge are futile. Each science has its own methodology and subject of interest. Each one is independent of the other in some measure, but at the same time each one needs to borrow ideas and information from the others. The Normative Sciences are the most independent while the Social and Historical sciences are the most dependent upon the others. An investigator of physics might not need the historian but a historian definitely needs the physicist for radiocarbon dating. Scientific method can be distinguished as either operational science and historical science. "Operational science" deals with observable, repeatable, and testable phenomenon such as the laws of gravity, the structure of the cell, or chemical reactions: things for which hypotheses can be formed and reliably tested. It is furthermore arguable that both operational science and the concept of the scientific law are based on the beliefs of early scientists in the creation of an orderly universe by a law-giver, as noted by Jonathan Sarfati below. "Historical science" (or origins science), on the other hand, deals with questions of an unobservable nature: hypotheses about events which only occurred once by their very nature, and which therefore cannot be repeated, tested, or observed. Examples include the origin of the sun, the origin of the Earth, the origin of life, and the origin of humanity. Hypotheses on these issues can be formed, and conclusions can be tentatively inferred from the evidence (e.g. it looks like this might have occurred), but the evidence remains open to interpretation. The theoretical basis for both creation and evolution falls within the realm of historical or origins science. Many anticreationists prefer not to differentiate between origins science and operational science. For example, evolutionist Richard Dawkins asking the rhetorical question 'How do we know that the earth is four and a half billion years old and that it orbits the sun that nourishes it?' The latter phrase, 'it [the earth] orbits the sun that nourishes it', is a statement of operational science. It is an inference from directly observed scientific data, taken according to Scientific method. It is operational science that is carried out in laboratories and in field work. Its results are reproducible and verifiable. The first statement above, 'that the earth is four and a half billion years old', is an example of historical science. It is a statement which, by definition, is not capable of being reproducible and cannot be verified. It is based on extrapolation of observations taken in the present, according to a prior assumption, or presupposition, of materialism. Creation Science rejects this presupposition, therefore interpreting the same observed data according to a different worldview. This confusion of operational and historical science is seen in the frequent, but naive claim by anticreationists that 'science has disproved the Bible'. What they really mean to say is that their interpretation of data, according to their origins science presuppositions, is incompatible with the Bible. That may well be true in certain circumstances, but does not alter the fact that historical science according to creationist presupposition is completely consistent with a different interpretation of the evidence, as well as compatible with scripture. 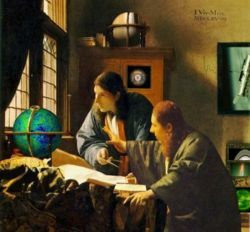 In recent years, the scientific community has been dominated by a materialistic worldview, whose adherents have an a priori philosophical commitment to naturalism. According to this philosophy, hypotheses can only be considered scientific if they propose natural explanations for observed phenomena. Advocates of this view argue that these hypotheses are the only ones that can be tested. To invoke explanations beyond this materialistic assumption would mean to go beyond the means of science. This view is problematic because it redefines science to compliment a particular worldview. The definition of science discussed earlier is attached to no materialistic standard. If science is simply a systematic process used to study the natural world, then an hypothesis that advocates design is not inherently unscientific. Provided that such an hypothesis is testable, makes predictions, and undergoes peer review, it cannot be dismissed because it draws conclusions that are contrary to materialism. If a person is, in fact, looking at a supernaturally-created phenomenon (i.e. the cell) and they limit the scope of their studies to purely materialistic causes; they will, by definition, return the wrong answer. Normative science is a type of inquiry by which people seek to determine which goals are good, and which means toward those goals are good. Logic, Mathematics, Philosophy of science, and Ethics are all normative sciences, because they seek to provide norms and standards by which phenomena can be interpreted and effective action can be taken. This type of inquiry is essential because it is the foundation of modern science. Applied science is the name used to designate all the practical applications of scientific information (i.e. technology). Thus the pure science of physics studies properties of matter (say silicon), while applied science harvests these insights to make useful products (say computer chips) for commercial, industrial, and utilitarian applications. Thus pure science and applied science are two distinct activities, mutually dependent for each other's growth. At the same time there are many areas where it is difficult to distinguish between these two enterprises. ↑ What is Science? American Physical Society. November 14, 1999. ↑ What is Science? University of Georgia. 17. Dec. 2008. ↑ 3.0 3.1 Science Answers.com. 17 Dec. 2008. ↑ 10.0 10.1 10.2 10.3 What is the scientific method? University of California Riverside. 17. Dec. 2008. ↑ 29.0 29.1 Taylor, Paul. The Root of All Evil? Answers In Genesis. .December 17 2008. This page was last modified on 25 July 2014, at 10:46.